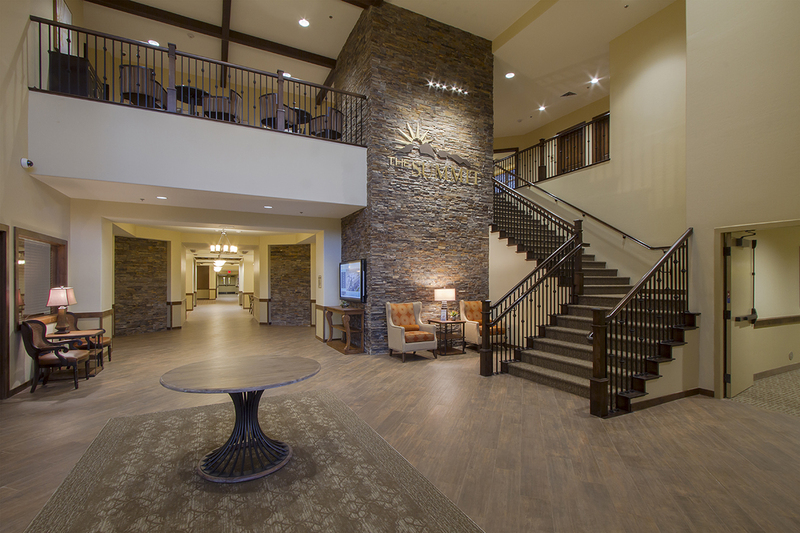 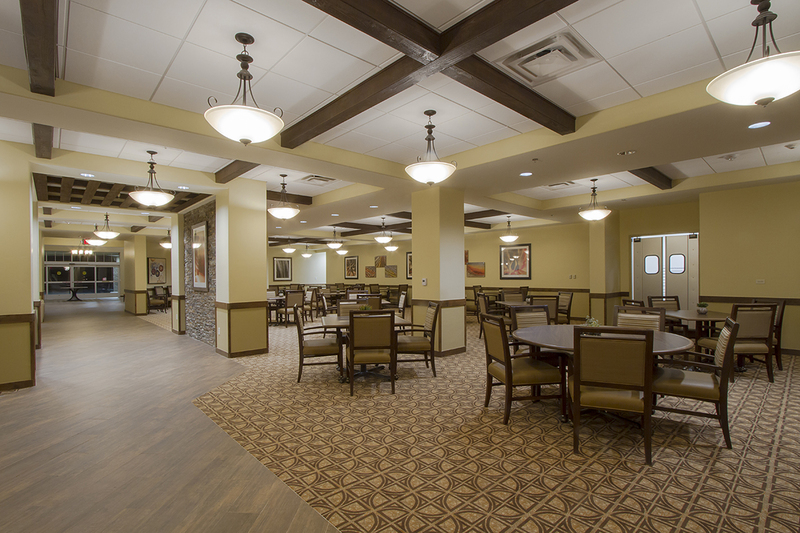 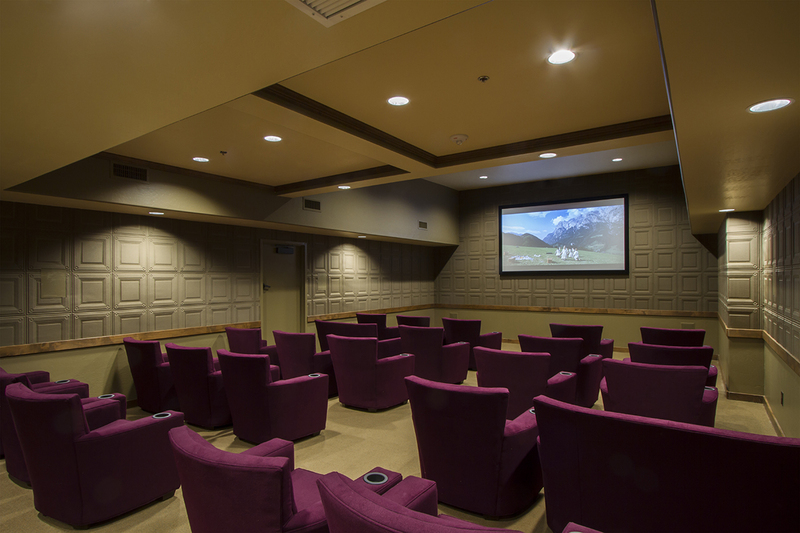 The Summit at Sunland Springs Assisted Living Center, Phase II at this full service senior living facility offering both memory care & assisted living centers, was designed to fully support the happiness, safety & dignity of its residents in an environment with the comforts of home. 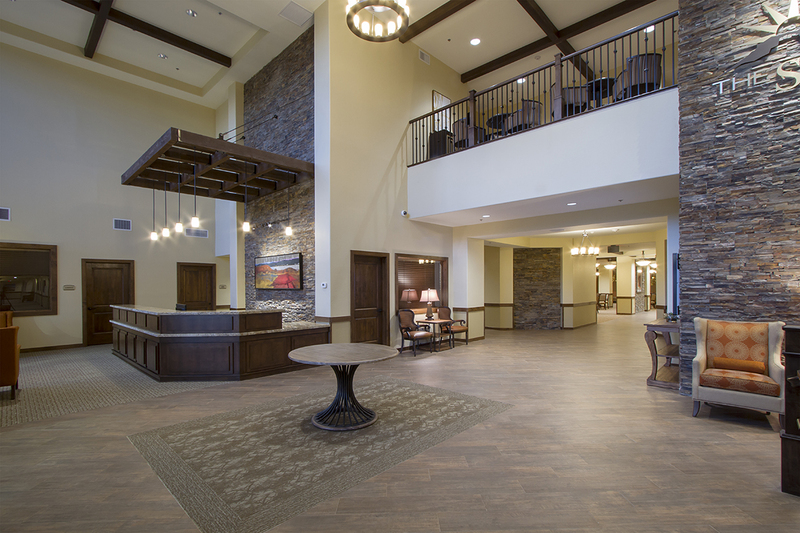 Common areas are spacious, easy-to-navigate & host a range of on-site services to accommodate a range of needs for the residents. 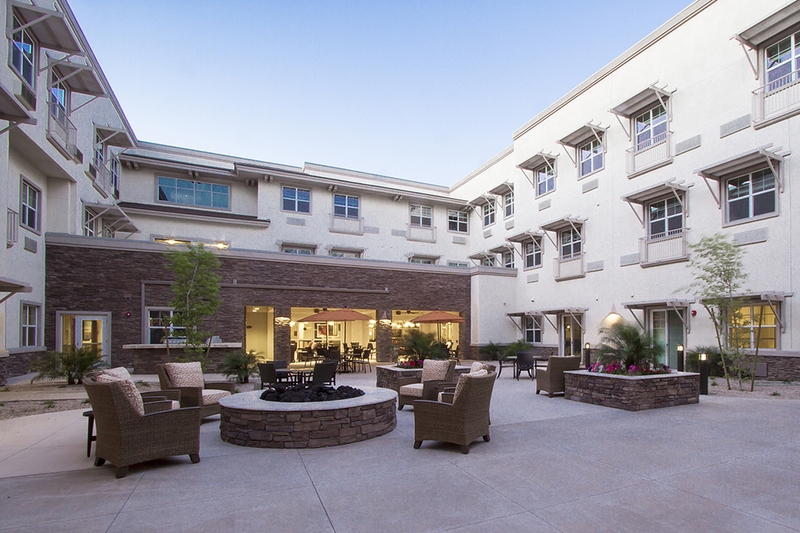 The Assisted Living Center is a 113,959 SF three-story courtyard building with a large porte cochere at the front entry to facilitate client & family access. 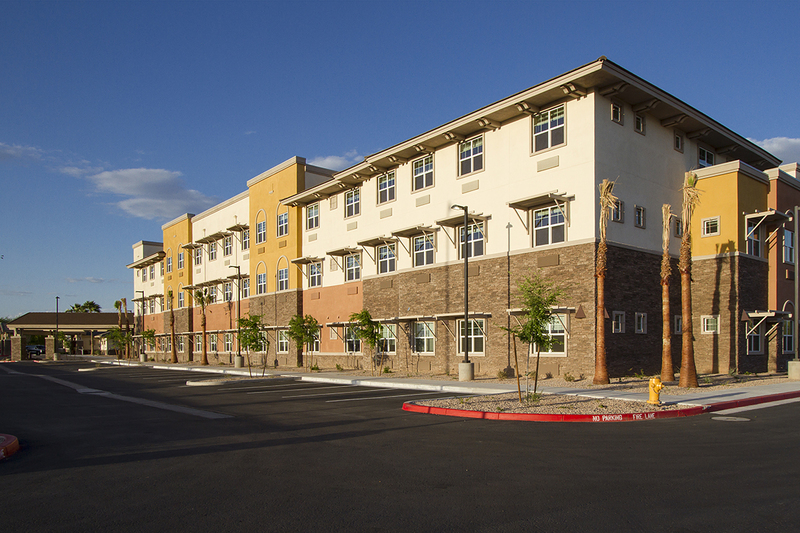 The building is articulated in a highly stylized residential architectural design, featuring building materials, design elements & colors that suit the environment & complement the adjacent residential homes to promote a strong sense of community. 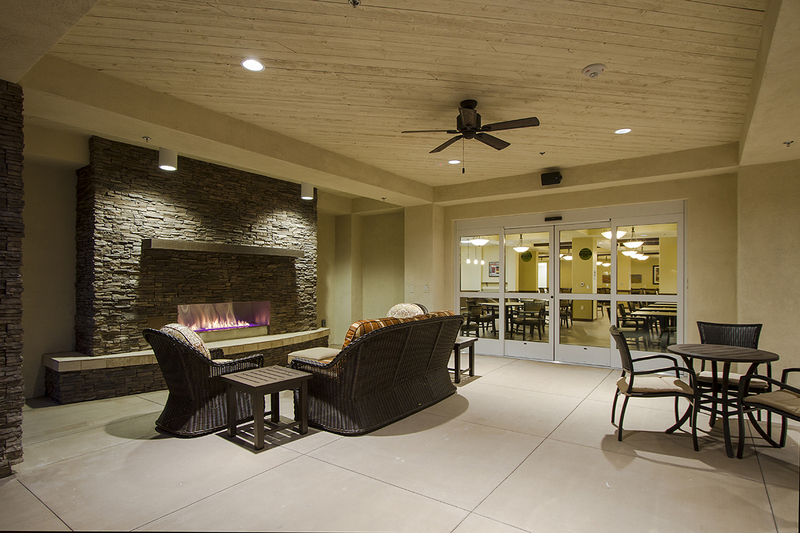 The floor plan is comprised of 108 living units arranged around a beautiful & secure centrally located courtyard designed for socializing with outdoor fireplaces, BBQ grilles, landscaping & putting greens for the residents’ enjoyment. 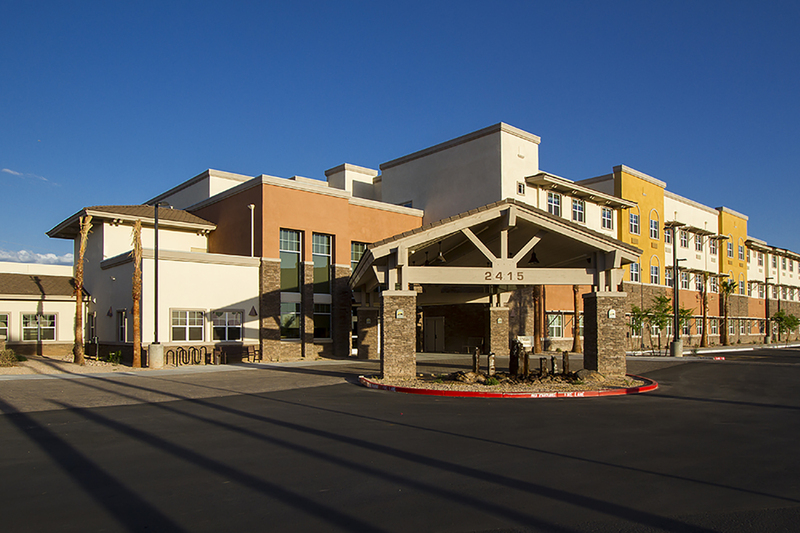 Resident rooms offer studio, 1- & 2-bedroom layouts. 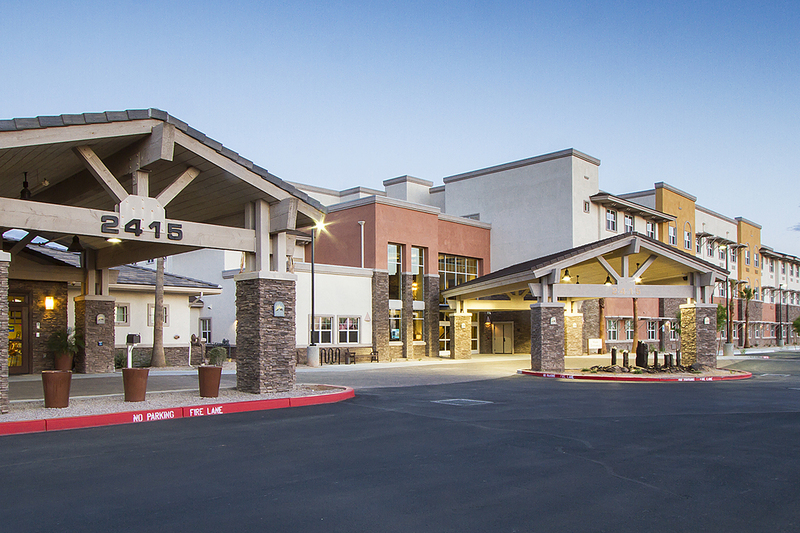 Available on-site services include personal care/beauty salon, housekeeping & laundry services; fine dining & medication management services; & health features including a wellness center, medical, dental & lab facilities. 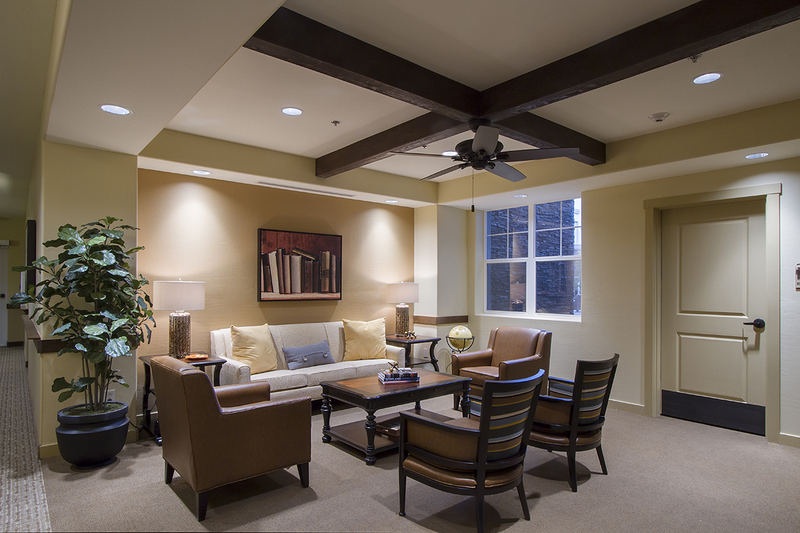 With an emphasis on social interaction, amenities such as a movie theater, pool room, library/computer rooms, exercise & arts & crafts studios, kids lounge & music areas are plentiful throughout.